It is known to many of us that Ford is currently testing the facelifted Ford Fiesta 2015 hatchback and the same is expected to be showcased at the Paris Motor Show. Even though the testing has not finished yet, according to Autointernationaal.nl, the manufacturer has already started working on the next-generation Ford Fiesta. 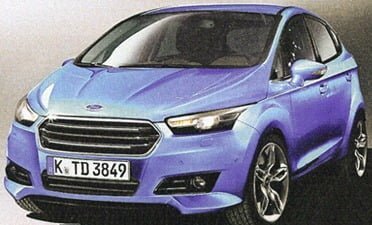 The development has begun in Cologne, Germany and Ford is reported to have hired an additional 500 engineers for the task. Speculation is that the Ford Fiesta 2015 Hatchback will be unveiled in 2015 only, giving the engineers enough time to develop something interesting and futuristic. 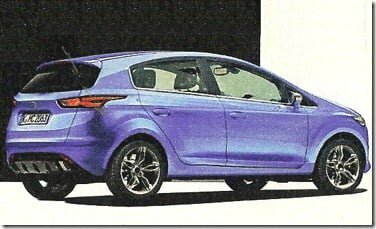 According to Ford itself, the current Fiesta is not capable of competing beyond the year 2014 as Honda is also working on an all new 2013 Jazz model. Therefore the company does need a better Ford Fiesta 2015 Hatchback. Another upcoming model to compete with the Fiesta will be the Nissan Invitation which is a features-packed car and is immensely impressive. Alike Ford, Volkswagen is also working on the next generation Volkswagen Polo and will develop the same on Volkswagen MQB Platform. The new platform ensures better space and improved fuel efficiency. 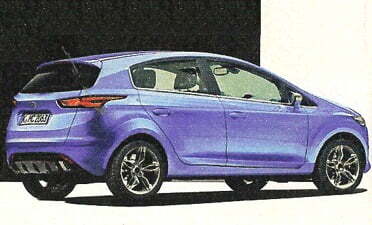 Speculations say that the Ford Fiesta 2015 Hatchback model will be marginally bigger in size. But Ford is also planning to replace the ongoing 4 cylinder engines with the much acclaimed 1 litre EcoBoost engine. Along with the Ecoboost engine, a 80 BHP petrol engine will also be there powering the basic variants. Another interesting piece of information is that Ford may completely cease the manufacturing of 3-door versions and focus more of 5-door versions to cater to more markets with one Ford global strategy to gain better economies on scale and better global recognition for Ford cars across various automobile markets. Stay tuned to us for more updates by signing up for our free email newsletter and like our official Facebook Page. Check out some more Ford India news here.